The church at Corinth was all messed up, both theologically and morally. They were proud and fractious; they tolerated gross immorality, sued each other in court, flaunted their freedom in Christ, abused the observance of the Lord’s Supper, misunderstood the purpose of spiritual gifts, and were confused about the future resurrection of believers. Yet when writing to them, Paul addressed them as “saints” (2 Corinthians 1:1) or as those “called to be saints” (1 Corinthians 1:2). The popular meaning of words often changes over time, based on their common usage. So today we wouldn’t think of those messed-up Corinthians as saints. We might call them worldly, carnal, or immature, but certainly not saints. In the Roman Catholic tradition, sainthood is conferred posthumously on Christians of exceptionally outstanding character and achievement. I write these words a few months after the death of the greatly admired Pope John Paul II, and already there is a widespread popular sentiment to canonize him as a saint. Apparently, over the course of church history, most of the original apostles, including Paul, came to be called saints. My grandfather was a member of St. Paul’s Methodist Church. In our city we have St. John’s Baptist Church. A Presbyterian friend of mine pastors St. Andrew’s Chapel. I have preached in St. Thomas’s Anglican Church. Even Matthias, the apostle chosen to replace Judas, gets into the act with St. Matthias’s Church in Sydney, Australia. And, of course, standing above them all in eminence is St. Peter’s Basilica in the Vatican. Today, outside the Roman Catholic and Orthodox traditions, the word saint is seldom used. But when it is, it is most often used to describe a person (usually elderly) of unusually godly character. Someone might say, “If there ever was a saint, it is my grandmother.” Upon hearing such a statement, we immediately picture a kind, gracious woman who regularly reads her Bible and prays and who is known for her good deeds toward others. How then could the apostle Paul address the messed-up believers at Corinth as saints? In fact, this form of address seems to be a favorite of Paul’s. He uses it in several of his letters and frequently refers to believers as saints (see, for example, Romans 1:7; 16:15; 1 Corinthians 1:2; 2 Corinthians 1:1; Ephesians 1:1; Philippians 1:1; 4:21-22; and Colossians 1:2). How could Paul refer to ordinary believers, even the problem-plagued ones at Corinth, as saints? Separated for what? A better question is, Separated for whom? And the answer is, “for God.” Every true believer has been separated or set apart by God for God. Paul, in one place, described our Lord Jesus Christ as the One who gave Himself for us to redeem us from all lawlessness and to purify for Himself a people for His own possession who are zealous for good works (see Titus 2:14). And in 1 Corinthians 6:19-20, Paul says to us, “You are not your own, for you were bought with a price.” Together, these two passages help us understand the biblical meaning of saint. It is someone whom Christ bought with His own blood on the cross and has separated unto Himself to be His own possession. What does it mean to be separated, or set apart? A good analogy is to be found at the U.S. Air Force Academy near our home. Entering first-year cadets are treated vastly different from the way freshman entering public or private universities are treated. From the time they get off the bus at the Academy grounds and throughout their first year, they are subjected to extremely rigorous discipline designed to transform them from easygoing American teenagers into well-disciplined cadets preparing to become military officers. Although this discipline is progressively relaxed as the cadets pass through their four years, it is never completely removed. Even as seniors, they are still subjected to demanding academic and behavioral requirements. Why is there this difference between the Academy and a typical university? These young men and women have been in a real sense “set apart” by the U.S. government to become Air Force officers. It costs our government over $300,000 to educate and train each cadet over a four-year period. So the Academy doesn’t exist to prepare young people to be schoolteachers or Wall Street bankers. It exists for one purpose: to prepare officers for the U.S. Air Force. And the cadets are “set apart” for that purpose. In a way similar to a young person entering the Air Force Academy, every new believer has been set apart by God, separated unto God to be transformed into the likeness of His Son, Jesus Christ. In this sense, every believer is a saint—a person separated from his old sinful way of life and set apart by God to increasingly glorify God as his life is transformed. In the biblical sense of the term, sainthood is not a status of achievement and character but a state of being—an entirely new condition of life brought about by the Spirit of God. Paul describes it as “[turning] from darkness to light and from the power of Satan to God” (Acts 26:18) and again as having been “delivered . . . from the domain of darkness and transferred . . . to the kingdom of His beloved Son” (Colossians 1:13). It would be nice if we could end the story here, because the last two paragraphs might suggest a saint is someone who no longer sins. Alas, we all know that is not true. Rather, if we are honest with ourselves, we know that nearly every waking hour, we sin in thought, word, or deed. Even our best deeds are stained with impure (mixed) motives and imperfect performance. And who of us can ever begin to say, “I have loved my neighbor as myself”? And of course, the messed-up Corinthian church stands as Exhibit A that we saints can be quite sinful in our attitudes and actions. The guerrilla warfare between the flesh and the Spirit described in Galatians 5:17 is fought daily in the heart of every Christian. That is why, for instance, Peter urges us “to abstain from the passions of the flesh, which wage war against your soul” (1 Peter 2:11). So although 2 Corinthians 5:17 and Ezekiel 36:26 speak of a decisive change that always occurs in the heart of every new believer, the outworking of that change is not instantaneous and absolute. Instead it is progressive over time and never complete in this life. However, the awareness of this internal struggle with sin should never be used as an excuse for sinful behavior. Rather, we should always keep in mind that we are saints called to live a life that is set apart for God. So Paul begins his first letter to the Corinthian church by addressing them as “those sanctified [set apart by God] in Christ Jesus, called to be saints [set-apart ones].” Then he spends the remainder of his letter vigorously exhorting them to act like saints. In one sense, Paul’s letter could be summarized in this statement: “You are saints. 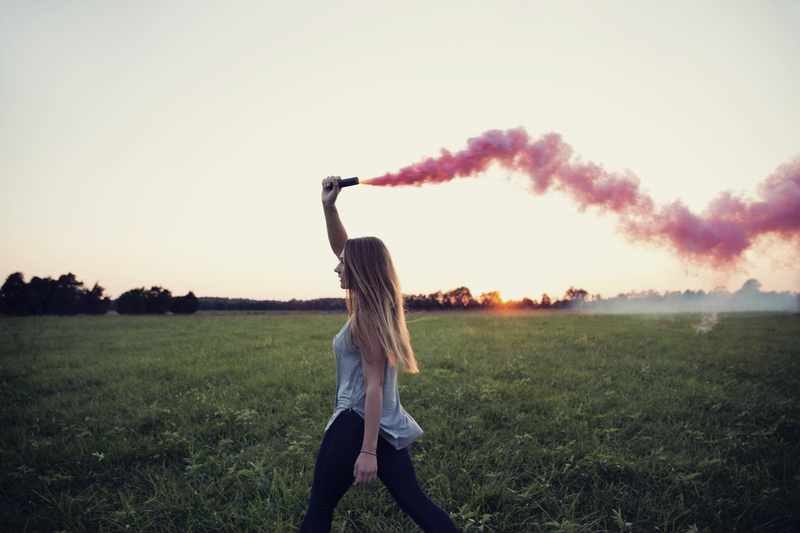 Now act like saints!” Sometimes that idea is expressed more succinctly as, “Be what you are.” That is, be in your behavior what you are in your state of being. So although the word saint basically describes our new state of being as people separated unto God, it carries with it the idea of responsibility to live as saints in our daily lives. 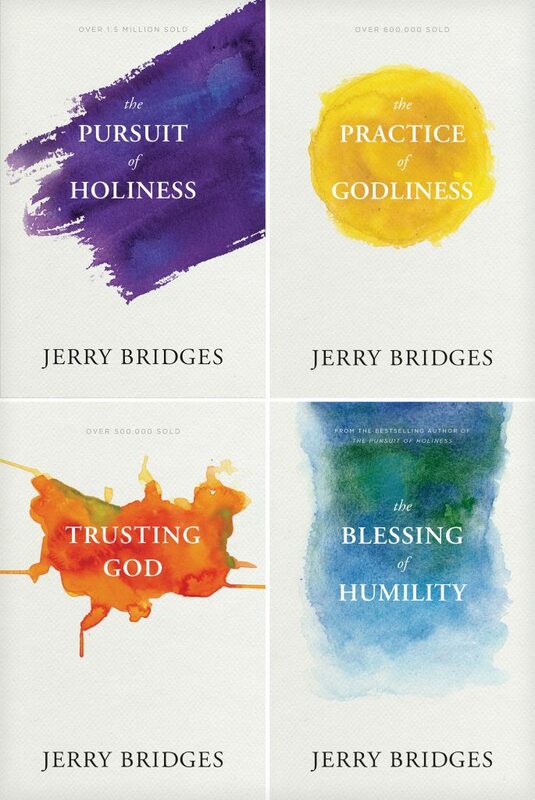 Jerry’s best selling titles in one discounted collection! When I was serving as an officer in the U.S. Navy some fifty years ago, there was an expression: “conduct unbecoming an officer.” That expression covered anything from minor offenses resulting in a reprimand to major ones requiring a court martial. But the expression was more than a description of aberrant behavior; it was a statement that the conduct was inconsistent with that expected of a military officer. The officer so described had failed to live up to his responsibility to act as an officer should act. Perhaps we might do well to adopt a similar expression for believers: “conduct unbecoming a saint.” Such an expression would pull us up short, wouldn’t it? When we gossip or become impatient or get angry, we could remind ourselves that our conduct is unbecoming a saint. We are, in principle, if not in degree, acting like the Corinthians. We are living inconsistently with our calling. The Bible has a word for conduct unbecoming a saint. It is sin. And just as “conduct unbecoming an officer” covers a wide range of misconduct, so the word sin covers a wide range of misbehavior. It covers everything from gossip to adultery, from impatience to murder. Obviously, there are degrees of seriousness of sin. But in the final analysis, sin is sin. It is conduct unbecoming a saint. One of our problems, however, is that we neither think of ourselves as saints—with our new state’s concurrent responsibility to live as saints—nor do we think of such actions as our gossip and impatience as sin. Sin is what people outside our Christian communities do. We can readily identify sin in the immoral or unethical conduct of people in society at large. But we often fail to see it in what I call the “acceptable sins of the saints.” In effect, we, like society at large, live in denial of our sin. So now let’s move on to talk about sin and our frequent denial of it in our lives. 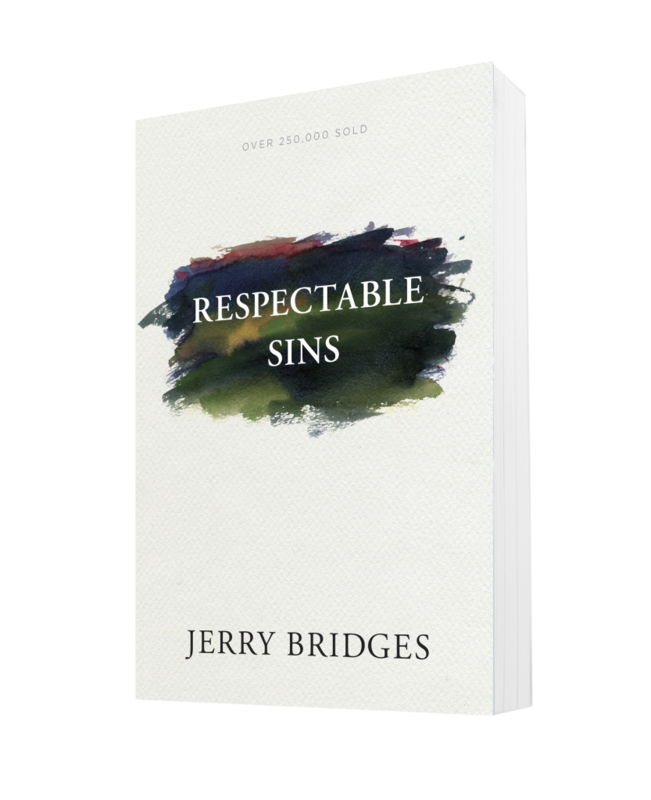 You just read chapter one of Respectable Sins by Jerry Bridges. To continue reading click here. Jerry Bridges’ books have sold millions of copies. His top sellers have just been reprinted with new updated design and include their corresponding study guides. Check out the Jerry Bridges collection. This is such a great message. I was very encouraged while reading it. As a minister of the gospel, I have been preaching and teaching this truth for years. It’s good to hear it from someone else.